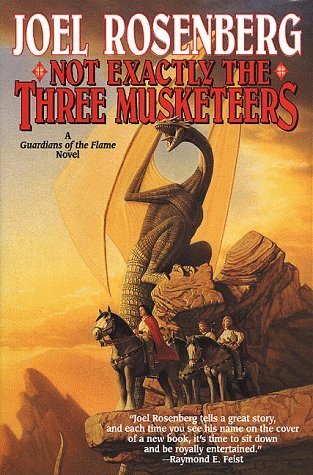 I just finished reading the 8th book of The Guardians of the Flame series, Not Exactly the Three Musketeers. This book stood out from other books in the series because instead of following around the extremely overused starting characters from Earth, most of this story follows Pirojil, Durine, Kethol, and Erenor, ordinary people from the Eren regions. Throughout this book Pirojil, Durine, Kethol, and Erenor are traversing back and forth from a corrupt capital to corrupt barony. There isn't really one antagonist, just a lot of corrupt politics. The back and forth from corruption over years has taught Pirojil that the job of a soldier is to die, and it doesn't matter what the soldiers think. Next I'll read Not Quite Scaramouche.